My kid loves to read. What a problem to have, right?! But I have noticed a decline in Kaden's reading. There is good reason though --he is constantly busy with obligations now that he is in middle school. A few of his books are coated in dust. Let's hope he can blow a bit of that off over the holidays. Like most tweens, he loves playing video games, using his iPad and watching television. However, there are times when I peek in his room only to find him cuddled up on the bed with a good book. Sometimes, I can even hear Kaden's laughter echoing through the hall while he is reading a funny story. That is exactly what happened when he read the book, I Even Funnier by James Patterson. 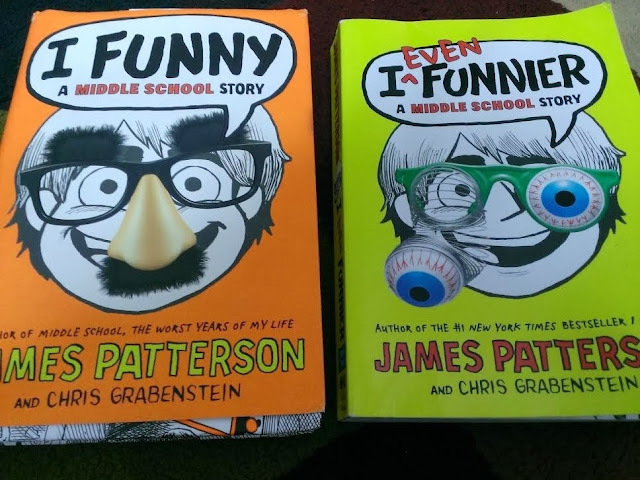 I Even Funnier is the side-splitting second installment in James Patterson’s hilarious #1 New York Times bestselling series for kids! Middle Schooler Jamie Grimm has big dreams of being a stand-up comic and he’s not about to let anything get in his way of making his dreams come true! 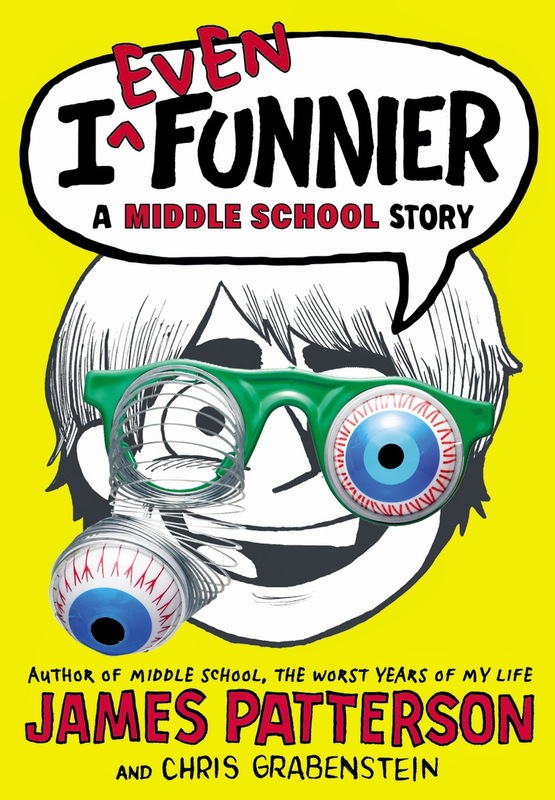 In this second book in the series, Jamie is off to the state finals in the Planet’s Funniest Kid Comic Contest, but there’s another kid who thinks he’s a million times funnier than Jamie…who will win? There you have it! Kaden, who enjoys books of all kinds, recommends picking up I Even Funnier (and any other James Patterson titles) this holiday season. It makes a perfect gift for children who like a little diversion from the normal, boring format of a book. I Even Funnier is sure to keep your little reader entertained. I decided to read one of the chapters just to get a feel of the book. I'll admit -- it was delightful. I noticed that there were real-life issues presented in the book that focus on middle school life. Jamie Grimm's stepbrother displayed signs of bullying and being a pest. Jamie, who is in a wheel-chair, shows how he can fit in with the rest of the children who are not in a wheelchair. I liked seeing these components written into the story line. Overall, the humor is a great escape for a child who needs a break from all the seriousness that comes with being a student. If you want to take a look at I Even Funnier before purchasing it from the store, Click here to read the few chapters for free. 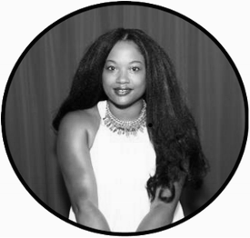 Visit the Official Site for more information. You can follow author James Patterson on Twitter and Facebook as well (search the hashtag #IEvenFunnier to get in on the conversation). I was compensated for my time. I also received two book titles to facilitate my review. All opinions and views are my own, and do not reflect those of the sponsor.